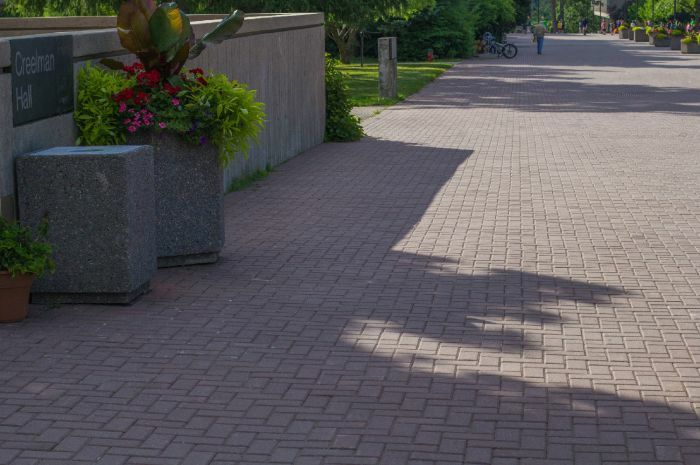 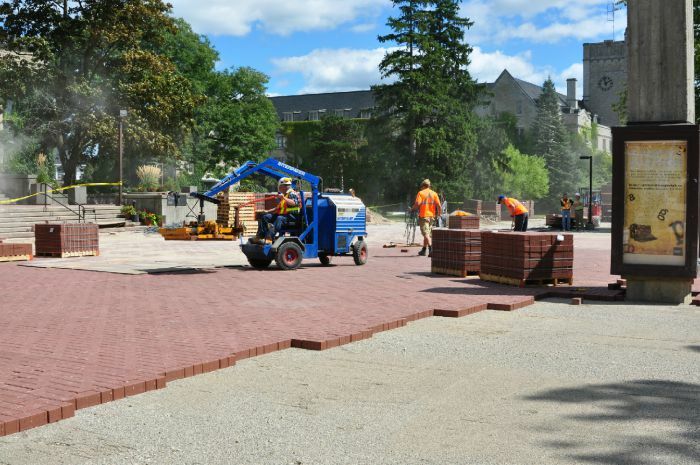 In the summer of 2010, as part of a tunnel restoration project, we were engaged to reinstall the interlocking paving stones. 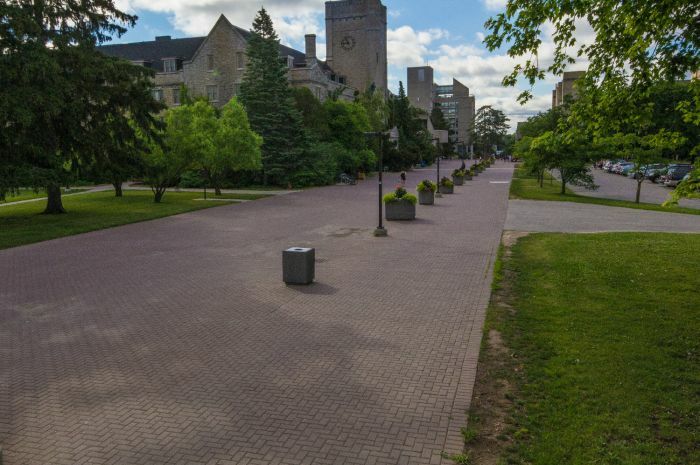 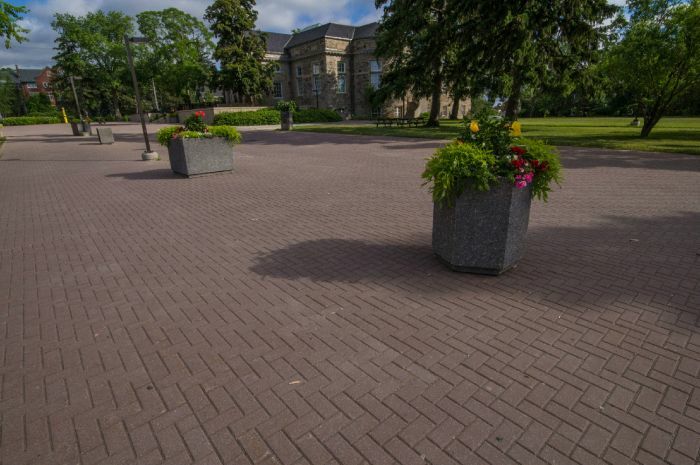 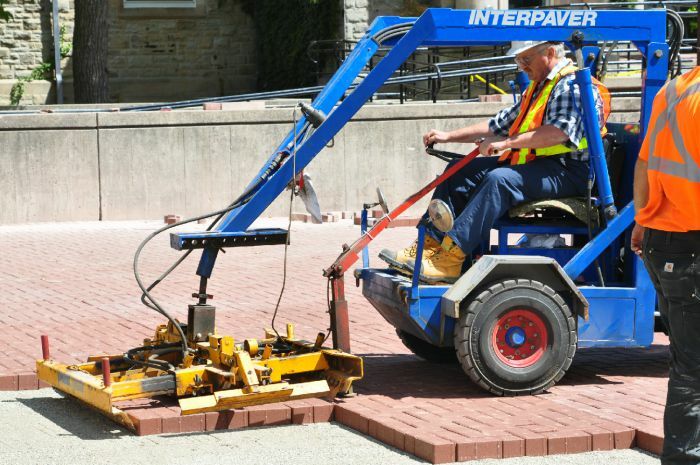 To facilitate the difficult time line, we used mechanized installation to install approximately 70,000 square feet of 80mm Hanson Cobble 100 Pavers in a two week period. 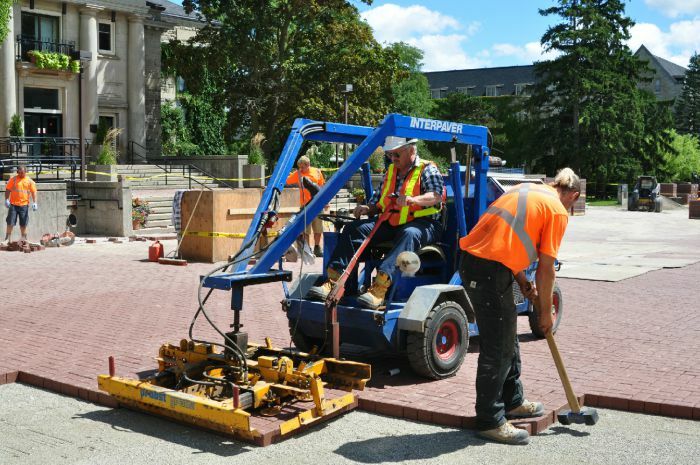 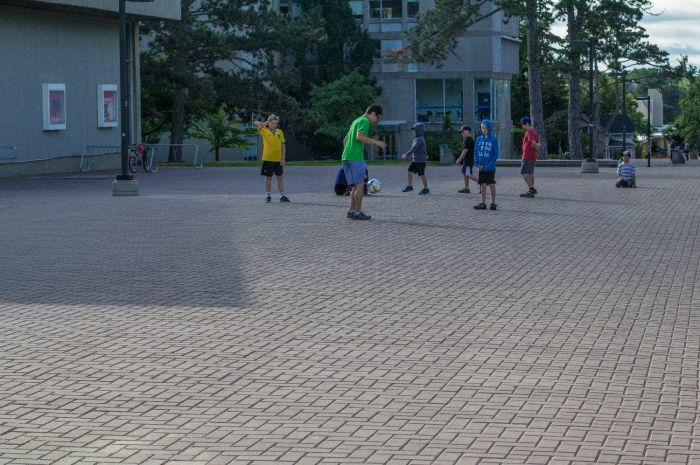 The job went smoothly and you could see our crew power sweeping the joint sand on the first day of classes!